Need More Space? We got it! Attractive and affordable sun room additions to match your Houston house style and budget. All of which includes superior storm resistant construction, unmatched energy efficiency, and more room for enjoying life! Built to last, our sun rooms are designed to seamlessly blend into your existing home design offering a great return on your investment should you choose to sell your home in the future. Check out our gallery of real completed projects! Our screen rooms offer the perfect blend between allowing the refreshing elements of the outdoors in, while eliminating the sting of those pesky Texas mosquitoes! All of our structures are designed to withstand wind speeds of 120 mph, giving you that feeling of comfort that your room will stand strong during Houston‘s Hurricane season. We also offer a window ready screen room that can easily be converted to a sun room by adding windows in the future when your budget allows. This is for those who want to let the good weather in but keep the bad out. Heavy vinyl glazing inserts that are extremely resilient protect you from the elements when you need it while preserving the look and feel of an all glass sun room. In good weather enjoy comforting breezes through large screened openings. You can now have the best of both worlds at an affordable price with EZE – Breeze. We can easily convert that open patio cover space to a livable, comfortable environment for your family to enjoy year-round. Whether it be screened, EZE-Breeze vinyl windows, or our sun room walls with energy efficient windows, McBride has an option and price point that fits your needs. All of our custom built patio covers come complete with your choice of ceiling type. Our most affordable option is the exposed rafter look – this is because we can build these without ceiling joists. This option looks fabulous with a gable style patio cover. Read more and see our gallery of our beautiful creations. Let McBride design and build your new backyard oasis! Whether it’s a custom-designed wood framed cover built into your existing roof line or one of the many ultra-affordable aluminum options – we have the product to meet your taste and budget. All of your additions are built to last the test of time using accepted building designs and lifetime-warrantied products. McBride will handle all of the HOA and building permit issues for you. This product is becoming more and more popular today in Houston. Outdoor cooking has many advantages and it really brings the family and friends together. Our stone covered appliances look great and we have many options to meet your budget. Our stone covered counters can be finished with granite, silestone, or any of the many options available in today’s marketplace. Since McBride Construction is a small company without the significant overhead of the larger competitors, we can offer the same product at a better price! Outdoor fireplaces and fire pits have become a big trend in renovating outdoor living space. There’s something both comforting and irresistibly attractive about the warm flicker of a toasty evening fire. We can help you add the element of fire to your own backyard with the cozy glow of a fire pit or the elegance of an outdoor fireplace. Professionally constructed pergolas add value to your Houston home. You can enjoy the relaxing escape of your pergola as well as offer that experience to discerning house hunters.Pergolas are perfect for enjoying Houston’s year-round warmth and making the most of sunny days. They’re quick to construct, easy to customize and a delight to share. This is a great way to really transform a small concrete pad into your a fabulous space. We offer concrete slabs, flagstone, stamped concrete – just let us know what look you want to achieve. All of our concrete is poured according to accepted Texas building requirements and codes. Structural Aluminum Pool Enclosures are becoming more and more popular in Houston. With Spring and Summer quickly upon us, those nasty mosquitoes will be out in full force. Let McBride enclose you pool or patio area with a screened enclosure. This is a perfect option to let the fresh air in while also simultaneously cooling the area and keeping it bug-free! Our patterned concrete overlays are perfect if you want to make that old grey concrete patio really pop! We can cover poolside concrete, pepplestone patios/walkways, driveways to name a few. The great feature of overlays are that we don’t have to rip up the existing slab. McBride Patio Construction offers many styles, colors, and patterns to match your taste and budget. Tell us your ideas, and we will put together a high quality digital image to make you see it live. Let Texas Patio Builders give your house a facelift! The combination of a new 30 year high definition roof, James Hardie siding and Simonton vinyl double-paned windows is the perfect choice for the budget-wise consumer. 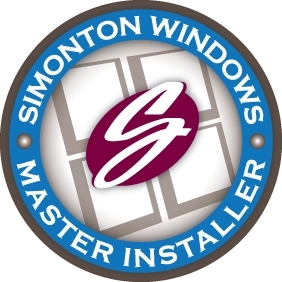 We are a certified master installer of all these exterior products and more. We provide you with professional decks, taking care of the project from start to finish. If you have made the decision to add a deck to your home, you might be wondering just who you should work with to have the job completed. We are here to give you the professional deck that you dream of. Retractable screens are screens that can be retracted for protection from insects and bugs, to create fresh air and for ventilation purposes. The motorized retractable screens are automatic in that light can be controlled and can be retracted when needed by just a touch on the button. They are remote controlled, in-wall mounted controlled or programmed to preference. McBride will choose the design to fit any design of Houston home and the number of screen one want. The design will be convenient to any automation system in a home. The sales services are provided at McBride to cater for every customer need. Also no need to worry about installation services because they are provided. They are designed to fit large openings, ceiling, walls, windows, garage and doors. We will never use high pressure tactics to sell you a job. We hold an A rating with the Better Business Bureau. We understand while we build projects every day you don’t. We respect your house and your time.